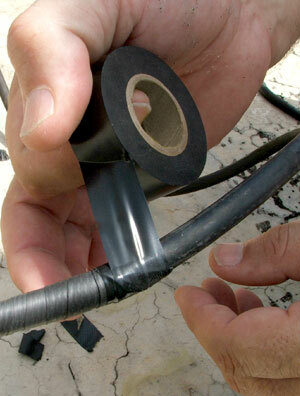 Hoffmeyer’s industrial tape is the solution for all your bonding, sealing, and masking needs. Due to the multipurpose nature of these tapes, professional tapes are commodities that remain in high demand, being that they are liberally used in such common tasks as packaging, fastening, damping, attaching, and surface protection works. Hoffmeyer provides the best in gripping tapes, adhesive transfer tapes, double coated tapes, fasteners, adhesive sealants, non-structural adhesives, masking and duct tapes, double-sided bonding tapes, and specialty tapes. Whereas these tapes can lend themselves to more general purposes, Hoffmeyer also provides professional tapes designed for very specific functions, including guard film, paper masking tapes, foam tapes, and PVC tapes. In our acrylic foam tapes, you will find two varieties: a glazing tape and a cladding tape. As for ordinary foam tapes, we also provide single and double-sided tapes. Professional tapes are largely used for the purpose of mounting, fastening, and laminating. We cater to a large and varied clientele from various industries including electronics, construction, automotive, food and beverage, packaging, paper, and woodworking. In these industries, tapes are at work in such tasks as waterproofing, light weighting, shock absorption, sustainability, ease of assembly, as well as noise and vibration control. Different grades of masking tapes are also at work in the automotive sector for both a general purpose and for providing temperature resistance. Acrylic tapes are often used to create permanent bonds in automotive parts, due to their inherent qualities. The electrical and electronics industries find even more varied uses for industrial tapes, taking advantage of the electrically insulating qualities of many of our tapes. PVC tapes of different grades and colors are used for this, as well as cloth tapes containing nylon, PTFE or fiberglass strands. Hoffmeyer offers a full range of industrial and professional grade tapes, including electrical, rubber splicing, anti-slip, vinyl, filament, Kraft, and carton sealing tapes. We have over 90 years of experience in supporting the industries and clients that have come to rely on us and our products. Contact your local Hoffmeyer representative to find out how you can benefit through the proper use and choice of our industrial tapes.